KnowRe is aligned to Common Core State Standards and many state standards. The program provides an enhanced, interactive learning experience featuring topic-based lessons, step-by-step instruction, real-life applications, videos, cartoons, and much more. 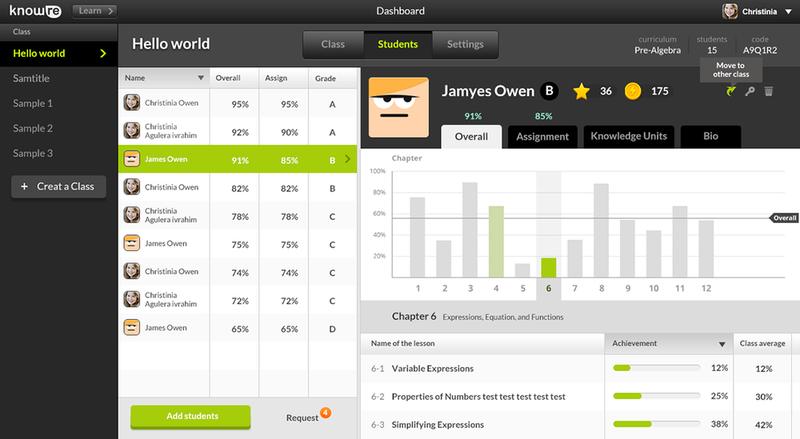 KnowRe’s standards-based mathematics curriculum is designed to address the needs of students of all abilities. Our curriculum designers bring many combined years of classroom teaching experience and training to the development of KnowRe’s comprehensive and rigorous curricula. KnowRe’s cloud-based program includes tools for building a basic understanding of concepts and skills while also offering materials for practice, reinforcement, application and remediation. KnowRe currently offers Pre-Algebra, Algebra 1 and Algebra 2. 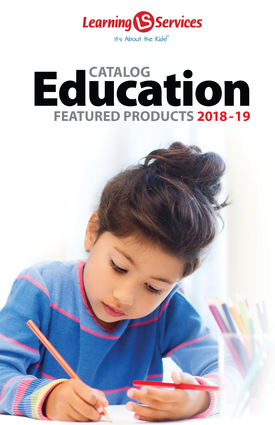 KnowRe’s secondary math curricula are aligned with the Common Core State Standards (CCSS) as well as key state standards, facilitating its integration into most classrooms and enabling teachers to target specific concepts and skills with each student. KnowRe’s Practice problems are designed to introduce skills and concepts, and provide students practice for those skills. Application problems require the student to take a number of different mathematical concepts and skills and to apply those concepts toward solving a problem. Many of KnowRe’s application problems are real-life, word problems. As students work through KnowRe, KnowRe is continuously assessing the student’s knowledge and understanding of the presented materials. 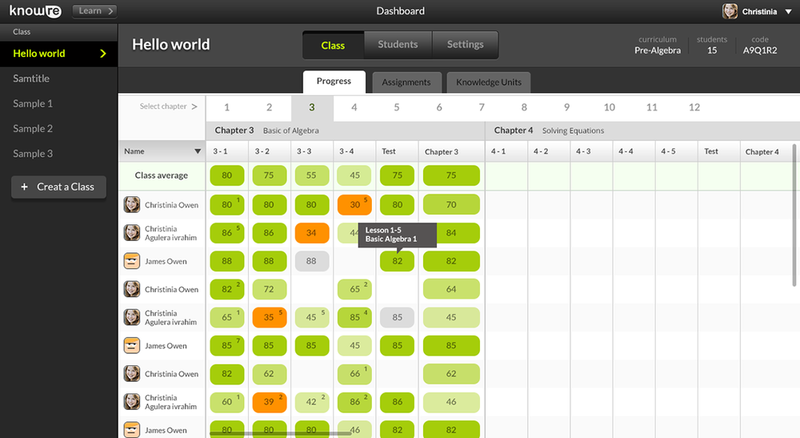 As KnowRe gathers the data around each student’s knowledge in real-time, it generates a personalized set of review materials to address each student’s unique learner profile and remediate areas of weakness. 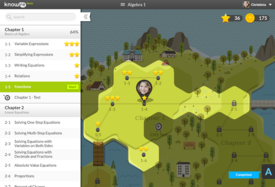 Many of KnowRe’s math problems come with the “Walk Me Through” option, offering students interactive, step-by-step guidance for solving math problems. KnowRe models the way a teacher interacts with an individual student as the student solves a math problem, and in doing so, simultaneously instructs and assesses the student’s understanding of concepts and knowledge at a granular level. Every lesson in KnowRe begins with a cartoon illustrating a real-life situation in which the learned mathematical concepts can be applied. Over a thousand bite-sized videos are available in KnowRe throughout the curricula. KnowRe’s videos cover mathematical concepts as well as skills in a concise, direct, and easy-to-understand manner. Cloud-based and will work on all devices with internet capability. Does not work well on iPhones or Android phones because of their size.